25th April, 2014 was observed as the 25th Birth anniversary of the 11th Panchen Lama by Tibetan in exile. The 11th Panchen Lama Gedhun Choekyi Nyima, the rightful incarnate of Panchen Lama as recognized by the His Holiness the Dalai Lama, was abducted by the Chinese Government and since then He became the youngest political prisoner in the world. The Central Tibetan Administration organized an official function at Tsuglakhang on 25th April. The school captains accompanied by prefects, hostel monitors, house captions and one teacher in charge attended the official function. Here in the school, a special program was organized in the morning assembly by “Students for Language Preservation” ༼ཕ་སྐད་དྭངས་བླངས་ཞབས་ཞུ་ཚོགས་པ།༽ Students and staff members were given to understand the life history of the 10th Panchen Lama by Gyen. Samten Gyatso. Mr. Gyatso talked about the extraordinary contributions and sacrifices made by the 10th Panchen Lama for the Tibetan people and the Tibetan identity, including the 70,000 Character Petition which He penned and presented to the Chinese authorities. In the document, the Panchen Lama provided a detailed account of the Tibetan people’s suffering under the Chinese rule and criticized the Chinese government’s policies being followed in Tibet. He was critical of the Chinese government’s repressive policies which caused him his life under mysterious circumstances at the age of 52. Thereafter, one of the school prefects master Norbu Lhagyal gave a short hagiography of the 11th Panchen Lama. The best write ups were awarded by the members of ༼ཕ་སྐད་དྭངས་བླངས་ཞབས་ཞུ་ཚོགས་པ།༽ After the function, the whole school got engaged in the work of campus cleaning and the gardening club of the school planted 25 new saplings in the school garden in celebration and remembrance of the 25th birth anniversary of the 11th Panchen Lama. 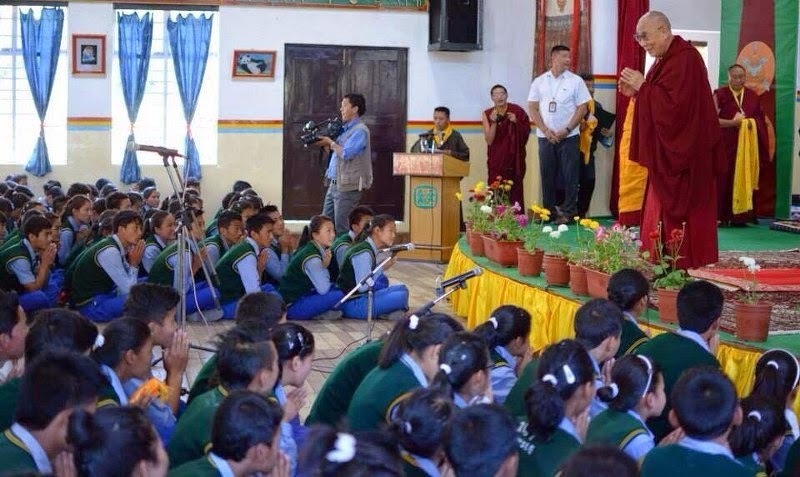 Students and staff members celebrated the 25th Birth Day of the 11th Panchen Lama with mixed feelings of joy and pain as we don’t know anything about the well being and whereabouts of one of Tibet’s most revered spiritual lamas/leaders.